WAUSAU, WI. 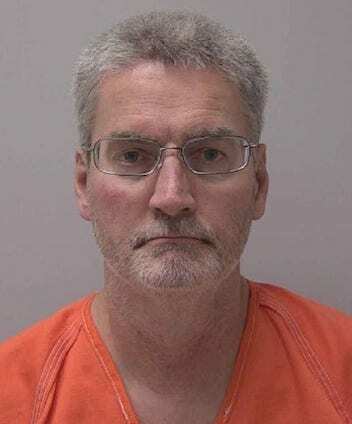 (THECOUNT) — Wausau doctor Thomas Strick was arrested and charged with five felonies, after allegedly partaking in prescription fraud while at Aspirus Wausau Hospital, on Pine Ridge Boulevard, in Wausau, WI. Strick is accused of writing prescriptions for fentanyl patches to patients who would then turn them over to him for his own use. In turn, Strick allegedly offered free at home visits to some of those cooperating patients. According to court documents, the fraud dates back to before 2013 while Strick was an Aspirus employee. In that time, Strick allegedly received hundreds of fentanyl patches he prescribed to several different patients, reports WAOW. Some of the patients allege that Strick threatened them if they did not provide him with the fentanyl patches. This is not the first time Strick has faced charges related to prescription fraud. In 2004, Strick was convicted of seven misdemeanor charges for prescribing drugs for his own use. “Providing excellent patient care is at the heart of everything we do. The situation involving our former physician causes us great concern and reinforces our focus on how we serve patients. We continue to work closely with our physician leaders to monitor the way all our providers prescribe medication, and we regularly evaluate and strengthen our internal protocols. When we discovered the issue, we immediately launched an internal investigation and notified local and state authorities. We are cooperating fully with law enforcement and must defer any specific questions about the case to them out of respect for the legal process. Geo quick facts: Wausau is a city straddling the Wisconsin River in central Wisconsin. The Leigh Yawkey Woodson Art Museum displays nature-inspired paintings and sculptures. West, the Yawkey House Museum preserves a grand 1901 home built in the neoclassical style. Opposite, the Woodson History Center has a library and exhibit area. Southwest, Rib Mountain State Park includes trails, an observation tower and the Granite Peak Ski Area – wikipedia.